Many thanks to all the participants and our wonderful sponsors. Fotos de la Carrera de Todos Santos de hoy. Muchas gracias a todos los participantes y a nuestros maravillosos patrocinadores. 3. Thank you to our Carrera Sponsors! All participants must check in. Races begin at Plaza Publica. Donation Fee: $10 USD or $200 MXP. Souvenir bib will be provided at check-in the day of the event. Please bring a copy of your registration receipt to ease check in. Races will happen rain or shine. No refunds available. Runners will be timed using RFID chip system. The Palapa Society run is back after a two-year hiatus due to Hurricane Odile and a year of repaving streets in Todos Santos. 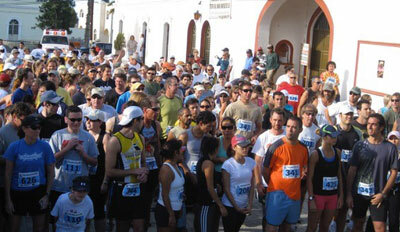 The run is officially called the Carrera de Todos Santos 5/10K. With its return, the run has expanded to 2 races. 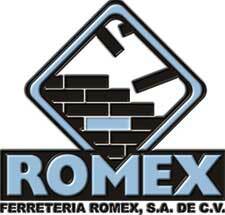 The La Esquina 5K run and the Romex 10K race will now be offered to runners in our Pueblo Magico. 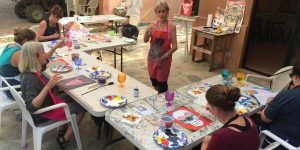 Begun in 2009, The Palapa Society is organizing this benefit run in Todos Santos, Baja California Sur, intended to bring together the people of our community for good health, a fun experience, and a great cause. If you are a seasoned athlete or running your first organized event, the two options make this an ideal run for you. This annual event will be held on Saturday, March 25th, 2017. Registration begins that day at 7:30 a.m. with the race at 9 a.m. Plan to arrive early for warm ups and registration. Click to see larger course map. 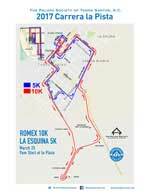 The run route will begin and end at the Todos Santos Town Plaza with the 5K staying primarily on paved streets with a little section of unpaved roads. The 10K will initially follow the same route but then head south out toward Punta Lobos on the dirt road. Volunteers will be stationed along the marked route to direct, cheer you on, and provide water. To view course map, click here. 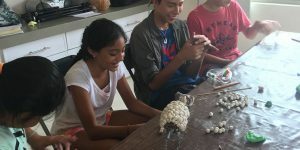 About The Palapa Society of Todos Santos, A.C. 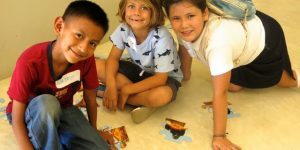 The Palapa Society of Todos Santos, A.C. is a Mexican non-profit organization providing enhanced educational opportunities for the youth of Todos Santos and Pescadero. 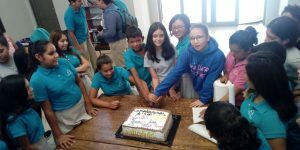 Our organization provides many programs including English language classes for children and adults, art, summer water safety and ecology classes, high school and university scholarships, and will soon open a SEP-certified Middle and High School in August 2017 at the new Palapa Learning Center. Proceeds from the 5K/10K event will provide funding for all current programs and help finance the future of our students. Come join us for this fun-filled family event. 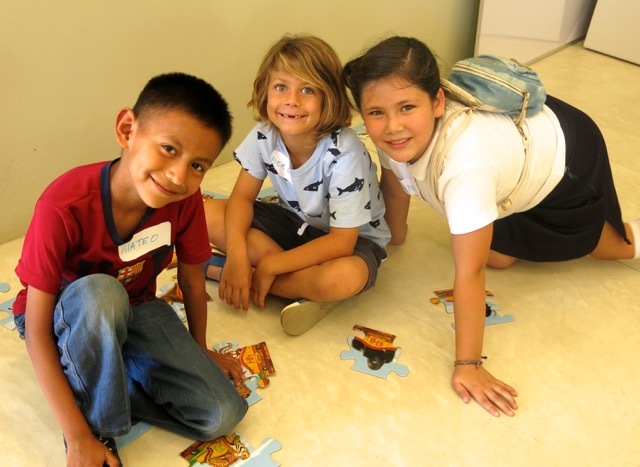 Please join us for a Palapa Learning Center Open House on Wednesday, January 4, 2017, from 3 – 5 pm. That day we are opening the construction site of the future Palapa Learning Center to everyone. Enjoy refreshments, meet the Director of the Middle and High School, and tour the three buildings at their mid-point of construction. We’ll have bilingual docents on hand to provide information on how each space will be utilized. Meet the people behind the scenes whose hard work and dedication are making this dream a reality. 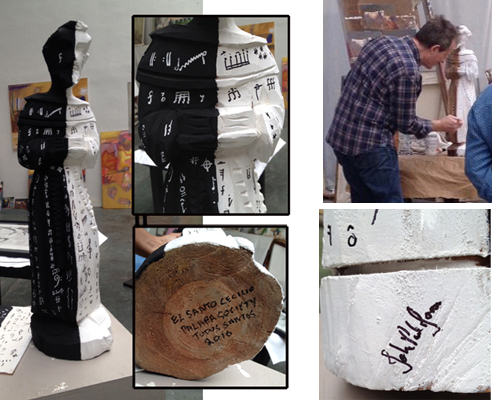 You can own this exclusive “Painted Saint”, painted by Led Zeppelin’s John Paul Jones. 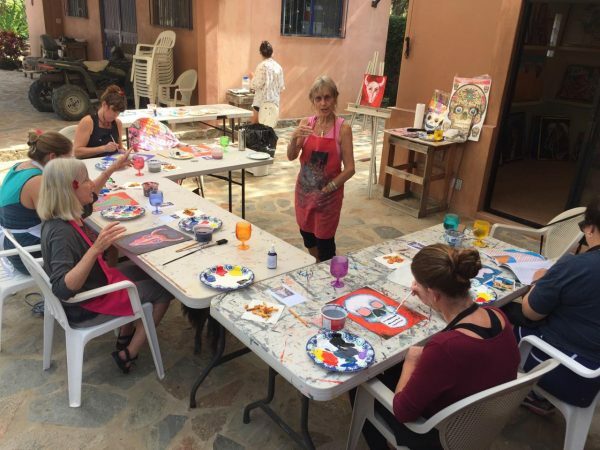 All proceeds benefit the Beca educational scholarship program for students. Place a bid now.